Are You Ready to Follow the Third Path? Thank you Karen. This is so powerful!! Just wanted to say, I hear you Karen and I agree completely. It is like you are speaking for me as well as to me. Absolutely brilliant call today. Spot on for what I’m experiencing and so magnificently articulated! Thank you for this gift and vivid reminder of the magic that resides within. I wish to thank you, from the depths and breadths of my being, for your divinely timed call. It was not only life-altering but also completely and utterly miraculous!! If you missed it, you can access the recording here. At the end of the call I made my biggest announcement of this year – Soul Power. 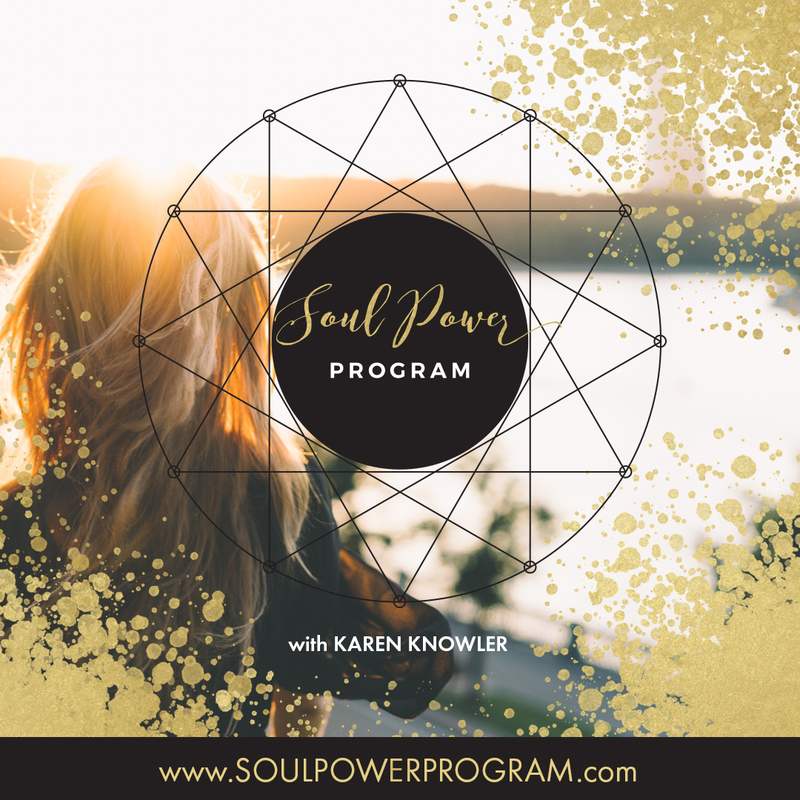 Soul Power is a year-long program starting in January and is a one-stop opportunity for every woman who is interested in choosing “the third path” (the path of Soul) as her way forward in life. Level 1 is for beginners who want to commit a year of their life to connecting with their Soul,discovering their unique Soul Power Matrix, and re-creating their life so that they are fully aligned with their Soul and walking along their Soul’s path. Level 2 is for those who are not so new, but are incredibly committed, and want to either get back on the path or deepen the path, so that their next level can reveal itself they can reach unprecedented levels of joy, meaning and fulfilment. This may also translate to starting a soul-aligned business or taking an existing business to a much more powerful soul-aligned place. Due to the March retreat being a part of this level, places are limited to a maximum of 12. Level 3 is for those who have been looking for the highest level conversation and a safe, sacred place to have it. They have been awake to their Soul for likely a decade or more, and already have a soulful business, and now they are ready to seriously ramp it up and to stop hiding out in certain areas of their life or the way that they’ve been living it. Re-aligning their life and their business hold equal importance for them. Due to the March and June retreats being a part of this level, places are limited to a maximum of 12. This is where so much of my focus is going to be in 2018 as I am committed to working with those who are truly serious about following their Soul’s path for the most connected, rewarding, joyful, peaceful and magical life possible. Which path are you taking with me? If you want to learn more about all things Soul, you’ll want to opt-in to receive a separate bunch of free stuff here. If you’re itching to receive more raw food info from me, stay with me! As I mentioned a couple of months ago, my perspective on raw food has been quite different to many for years and I’m going to be sharing so much more about that from the end of 2017 onwards… but these things take time 🙂 I’m excited about what I feel is going to reveal itself in this area over the coming months. I have the feeling that it’s going to be very special. Wishing you a wonderful week ahead – oh, and if you listened to the call, I’d so appreciate it if you can post a few lines below about how it spoke to you personally. Thank you so much!